This serving Plates is designed to add a little touch of luxury to any events you may host. From holding canapés at an exclusive party, to serving the main course at an intimate dinner, or even sharing tasty treats with some lucky guests, these pottery serving dishes are suitable for any occasion! After all, each one is handcrafted to ensure the pieces are of the highest quality. 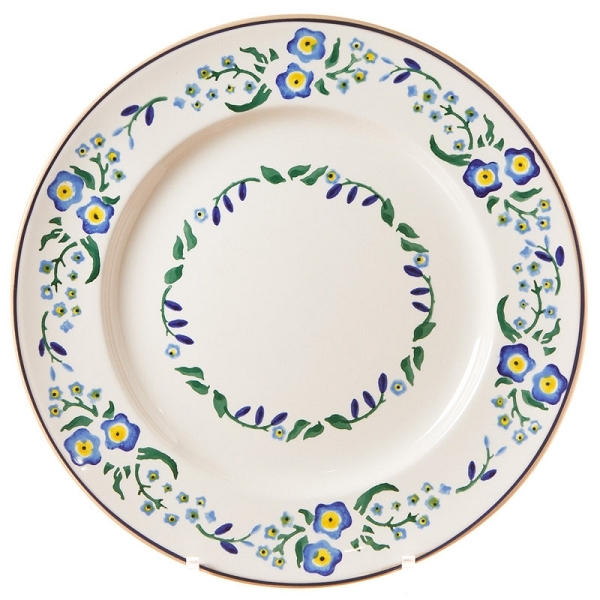 The Forget Me Not Pattern brings a touch of blue and yellow to your table.